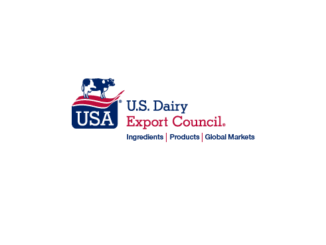 IDFA continues to advocate for greater market access for U.S. dairy companies abroad and is tracking actions on trade that are important to dairy. Of interest to IDFA members, the United States Trade Representative (USTR) last week released negotiation objectives for talks with the European Union (EU) that include IDFA priorities. IDFA is also tracking the ongoing tariff situation with China and progress updates for World Trade Organization (WTO) reform that affect dairy companies. Providing for enforceable and robust commitments to Sanitary and Phytosanitary measures that build upon World Trade Organization rights and obligations. Read USTR’s negotiating objectives here. Read IDFA’s comments to USTR here. The earliest day that official negotiations can begin is Feb. 12, according to Trade Promotion Authority rules. IDFA will remain engaged throughout the negotiations. Last week, the U.S. sent a delegation to China for several days of discussions revolving around intellectual property issues, non-tariff barriers, cyber intrusions and cyber theft of trade secrets for commercial purposes, services and agriculture. The U.S. delegation was led by Deputy U.S. Trade Representative Jeffrey Gerrish and included USTR Chief Agricultural Negotiator Gregg Doud and USDA’s Under Secretary for Trade and Foreign Agricultural Affairs Ted McKinney. USTR also stated that China has pledged to buy agricultural and other U.S. products. In the past month, China has reportedly made three purchases of soybeans. As of now, it is unknown if China will purchase other agricultural products, like dairy. On Dec.1, the U.S. and China agreed to temporarily freeze tariffs at current levels without additional escalation for 90 days. Vice Premier Liu He and a Chinese delegation are scheduled to visit the United States to further discuss trade on Jan. 30 and 31. The deadline to complete negotiations is March 2. One area of WTO reform that the United States government has been critical of for years is the WTO’s Appellate Body, which oversees the trade dispute settlement process. The U.S. argues that the Appellate Body has overstepped its authority by straying from procedure and rules by delaying decisions past the 90-day deadline, issuing advisory opinions and engaging in fact-finding. The Appellate Body normally has seven judges but only three remain which is the minimum needed to hear disputes and the terms of two are set to expire in December 2019. The U.S. has been blocking appointments since mid-2017. 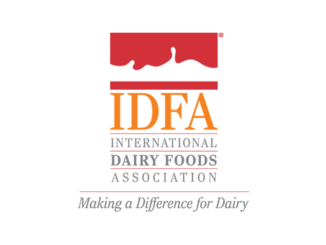 IDFA is watching these developments and the potential effects on global dairy trade. If the Appellate Body dissolves, the United States and other trade players would not be able to settle disputes through the organization. WTO reform is expected to be a slow process, but the U.S. Japan and EU’s trilateral approach has the potential to address and advance some of these issues. The federal government remains closed. USTR furloughed most of its staff this week after running out of emergency funds. IDFA will inform members as it learns more information on the effects of the shutdown on current trade negotiations.